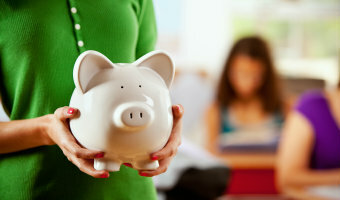 If you're 21 or younger, you can open this savings account with your parent or guardian. You'll have access to the funds — and you'll get to watch your money make more money by earning competitive interest. Save up for your first car, or the new phone you've been eyeing. Check out your progress 24/7 via online banking** or our handy mobile app! *A parent, legal guardian, or custodian must jointly be on this account until the minor reaches the age of 22. **After 90 days of no sign-on to online banking, a $5 fee will be charged.